As the second most populous city in Ohio, car accidents are an everyday occurrence in Cleveland. Many are minor, leaving the vehicles involved with just a few dings or scratches. But some are serious, resulting in devastating injuries that change lives forever. At Elk & Elk, we’ve seen the effects of car accidents in Cleveland and Greater Cuyahoga County firsthand. While we wish we could prevent these accidents, we know we can’t. Instead, we do all we can to help those whose lives have been affected by car accidents. The Ohio State Highway Patrol provides a map detailing where fatal crashes occurred in Cuyahoga County from 2016 to 2018. Most of the fatal crashes occurred in the north central part of the county; that is, downtown Cleveland and the most population-dense areas of the county. If you have been injured in a car accident in Cleveland, please don’t hesitate to contact the personal injury attorneys at Elk & Elk. You can call us at 1-800-ELK-OHIO or contact us online. Distracted driving: Distracted driving is an epidemic in Ohio and throughout the United States. Drivers are more distracted than ever, checking their phones, sending text messages, making phone calls and using GPS devices to navigate. Other distractions include eating and drinking, talking to passengers, and other activities that take a driver’s attention away from driving. Drunk driving: According to the Ohio State Highway Patrol, there were 405 OVI (operating a vehicle under the influence)-related fatalities in Ohio in 2017. Drunk driving remains a problem, even though it’s easier than ever to avoid doing it thanks to public transportation, rideshare apps, taxis, etc. Reckless driving: What we do on the road affects all other drivers. When drivers speed, fail to obey traffic laws, change lanes without signaling, suddenly brake, fail to stay in their lanes or drive inappropriately in inclement weather, an accident can easily happen. In Cleveland, many factors contribute to the high number of traffic accidents that occur here. 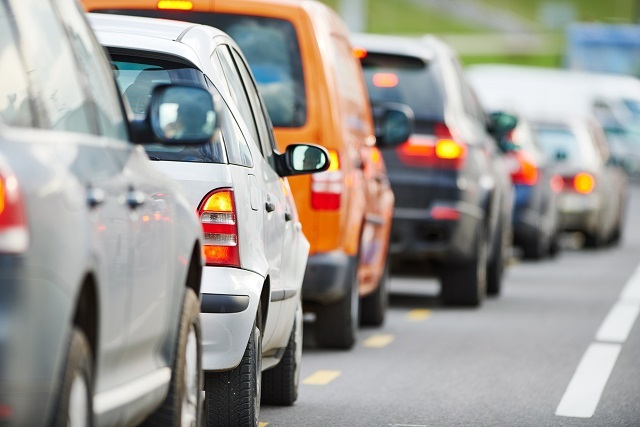 Whether people are driving to Cleveland Hopkins International Airport to catch a flight or heading downtown to watch a game at Quicken Loans Arena, Progressive Field or FirstEnergy Stadium, Cleveland’s busy roads can be prone to traffic backups and unpredictable drivers. 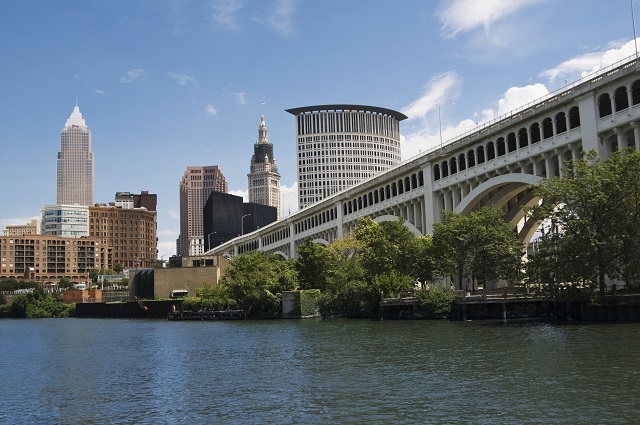 Many Clevelanders also spend time on the roads commuting to and from work each day. According to U.S. News & World Report, the average commute time in Cleveland is 24.3 minutes. And Cleveland’s weather can be challenging, especially in the winter when far too many drivers fail to drive safely in icy and snowy conditions. The average snowfall in Cleveland is 14.1 inches in December, 18.7 inches in January, and 14.9 inches in February. Some areas, like the eastern Cleveland suburbs in the Snow Belt, tend to be hit harder than others in the winter months. A car accident can have a huge financial impact on victims and those who depend on the victims financially. The ability to work: A serious injury can make it impossible for a car accident victim to work. This may be temporary, long term or permanent. When pursuing compensation for a car accident victim, it is important to account for the total amount of lost wages based on the severity of the injuries and how long the victim is expected to be out of work. Health and well-being: A serious accident can require long-term medical care, surgery, rehabilitation and assistive devices. The medical impact of an accident is uncertain, so victims may require short- or long-term support. Enjoyment of life: A serious injury or disability can affect a victim and loved ones in myriad ways. The victim may be in constant pain. The injuries may prevent the victim from enjoying old pastimes and hobbies. The victim may no longer be able to play with or care for his or her children. We account for all of the ways an accident victim’s life is affected. Do I need an attorney? While technically you do not need an attorney to represent you in the aftermath of a car accident, it may be in your best interests to work with one. The insurance issues that arise in car accident cases are complex. Your insurance company will try to settle your claim quickly and cost-effectively, and you may end up with much less than your case is worth. How much does it cost to hire an attorney? When you work with Elk & Elk, you pay no out-of-pocket fees, since we handle injury cases on a contingency fee basis. We charge nothing unless we win your case. Find out more about our No Fee Promise. Call 911: It is important to call 911 after an accident to notify emergency services and call for an ambulance, if necessary. Move to safety: If you are at risk due to your location, move to a safe location away from traffic. It is not uncommon for an additional accident to occur at or near the scene of the first accident. See a doctor: After being involved in a car accident, most people are in a state of shock – so much so, in fact, that they may not realize they are injured. If you have been involved in an accident, it is important to promptly seek a medical exam to determine if you have been injured. Gather evidence: Gather as much evidence as possible after an accident: names, contact information, insurance information and vehicle information of anyone involved in the accident; names and contact information of eyewitnesses; photos of the accident scene. Document this information on your phone or write it down. Request the police report: Request a copy of the police report, which can be helpful as you move forward with insurance claims and the legal process. Don’t admit fault: After an accident, do not make any statements to anyone that may indicate fault. An investigation will determine the cause of the accident. Admitting fault could affect your insurance claim and potential personal injury claim. What if the driver flees the scene of the car accident? Hit-and-run accidents are devastating. However, when a negligent driver flees the scene of an accident, the victim(s) may still have strong legal options. When the identity of the at-fault driver is unknown, accident victims may be covered under their own uninsured/underinsured motorist insurance. Speak to an attorney to find out about the specific options available to you after a hit-and-run accident. The law firm of Elk & Elk has a rich history of helping accident victims in the Cleveland area. Brothers Arthur and David Elk, who came together to found Elk & Elk many years ago, are still with the firm today. Cleveland has been good to us, and we are honored to give back to this community. Our attorneys and staff are involved in many local charities and organizations. When you contact Elk & Elk, we will work with you to set up a convenient time to meet, either in our Cleveland area law office or in your home. Please call us at 1-800-ELK-OHIO or complete our online contact form to set up your free consultation.